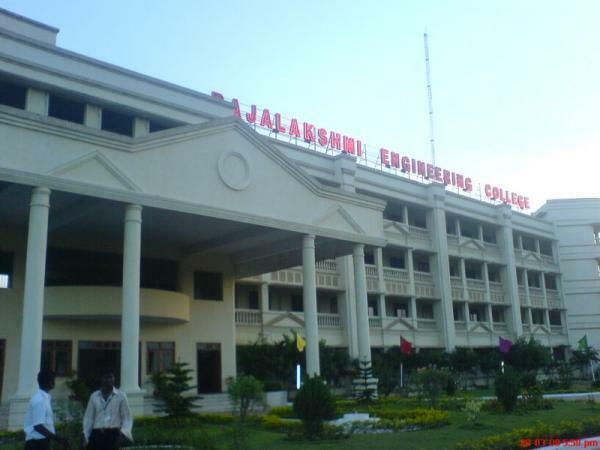 Rajalakshmi Engineering College, an autonomous institution affiliated to Anna University, Chennai, was established in the year 1997 under the aegis of Rajalakshmi Educational Trust whose members have had consummate experience in the fields of education and industry. The College has grown from strength to strength in the last 20 years and progressing towards Excellence in Engineering Education, Research and Development. Started with 3 Under Graduate programmes in Engineering with an annual intake of 180 students in 1997, the College presently offers 12 Under Graduate and 10 Post Graduate programmes, with an annual intake of 1950 students. The approval of AICTE and affiliation of the Anna University for such a progressive intake is a standing testimony for the continuous growth of the college over the years. 9 of our Departments are recognized as Research Centers of Anna University to conduct Ph.D. and M.S. (By Research) programmes and many scholars have obtained Ph.D. through these research centres.Ours is one among the few Colleges to receive accreditation for nine Under Graduate Engineering programmes from the National Board of Accreditation (NBA), New Delhi, as soon as attaining the eligibility to apply for accreditation. The College is accredited by the National Assessment and Accreditation Council (NAAC) with ‘A’ Grade. The REC library has a collection of 48,100 volumes and periodicals. The college auditorium has a capacity of 500. Sporting facilities include an athletic track, cricket pitch, basketball and volleyball courts, and football fields. Separate male and female hostels are provided.The campus houses a medical center staffed by a nurse and doctor. An ambulance van is available. 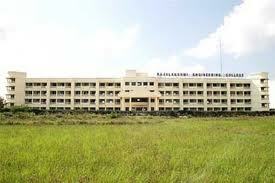 REC includes a state of art air-conditioned computer laboratory with servers and internet facilities. Work stations have welding and smithy equipments that provide hands on experience to our engineering students. Apart from this, each department has its own discipline based laboratories for study and research. Students sent for participating in the Inter-Collegiate Sports and games have won many trophies in various events. Our Volley ball team is an unbeaten State Champion and has won many tournaments in national level inter-collegiate matches.Various technical societies of Rajalakshmi Engineering College namely Computer Association, Society of Mechanical Engineers, E-Com Society and Society of Electrical Engineers conduct a State level Inter-Collegiate Technical Symposium called “Techfest” every year on the latest developments and inventions in the respective field of Engineering. We have separate hostel for boys and girls. The hostel can accommodate 500 boys and 200 girls. Single room accommodation is given to the final year and PG students. They are also permitted to use their own computers in their own rooms. The mess is spacious with a dining hall and kitchen. Separate seating arrangements are made for both boys and girls. The placement cell of REC aims to provide job opportunities by bringing the companies for campus recruitment to all the eligible students of final year,enhance current technical and practical knowledge of students,make the students ‘plug and pay’ by imparting soft skills and employ ability skills and to have strong industry-institute interaction.